2017 June 21-22 tropical storm Cindy with a large wind field expands to Mississippi but made landfall near Texas border with 40mph winds. 1879 Sept1st ,125mph just west from the south 28.70 110mph 9 ft. storm surge, 1 killed. 1893 sept 7th ,95mph from the S.W causes heavy rain here. 1909,Sept 20th,120mph from the south 350 killed press 28.68 ,a 16 ft storm surge. 1915 Sept 29th 125mph category 3, 60 miles east from the south..
1920 sept 21st,105mph from the south , 6ft storm surge barometer 28.99. 1926 Aug 26th 90mph from the south 28.31 bar,25 killed in louisiana,60mph sustained in morgan city gusts to 100mph. 1974 Hurricane Carmen hits with 150mph winds on sept 8th from the SSE. 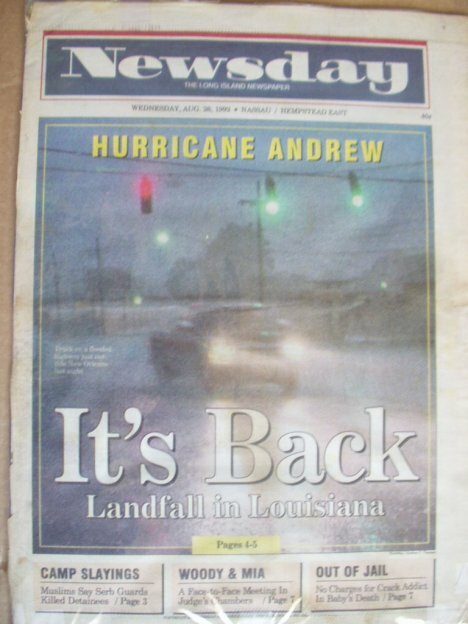 1992 Aug 26th,Andrew just west as a cat 3 heavy damage to area andrew 130 mph from the S.E,at approach to land a surge of 9.3 ft was reported in the town of cocodrie on the gulf,to 3.3 feet at the Houma Navigation Canal 23 miles to the north. 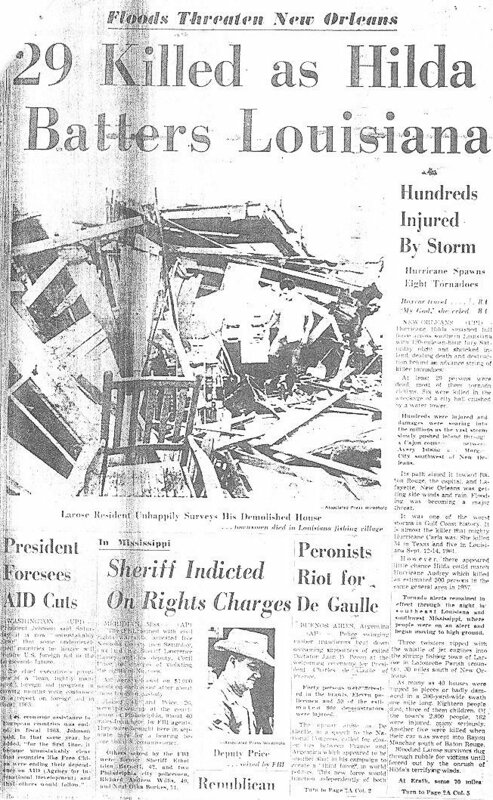 Newspaper headline | av model error | more on Hurricane Andrew here.